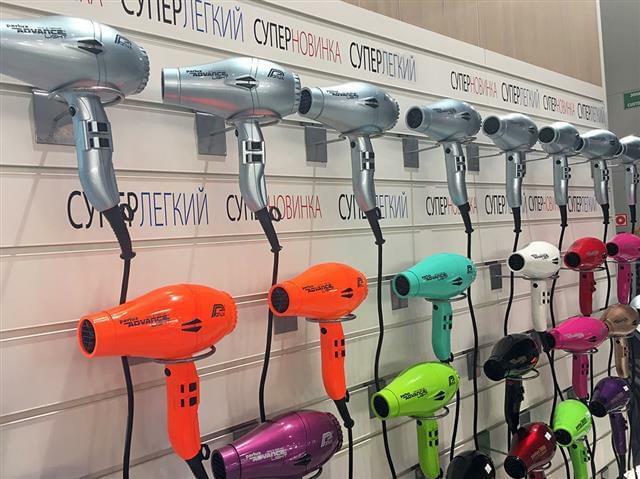 During this important Russian Trade Show, the new Italian hairdryer was confirmed the best professional hairtool. 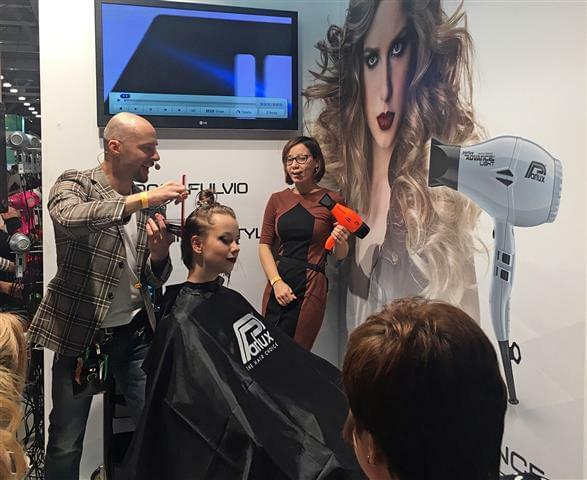 Crowds of professionals in the hair industry highlighted the four days of this edition of the INTERCHARM Moscow show held last 26-29 October at the Crocus Expo Center. Days of meetings, seminars and live shows, not to be missed, updates on new products and new hair techniques. 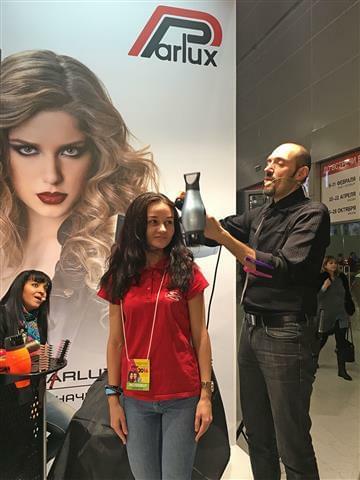 Among these, some tuition moments organized by the distributor for Russia, Galser at the PARLUX booth; famous hairstylists on stage demonstrated their personal autumn/winter hair styles using the new Parlux ADVANCE® hairdryer. 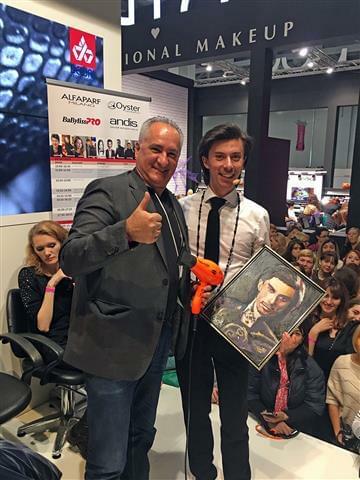 The Italian hairstylist Fulvio Furcas and the Russians, George Kot and Alexander Kazarinov , during their performances indicated the special power and lightweight of the new model which, thanks to its powerful K- ADVANCE® motor allows for perfect and very quick drying. Due to its technical features, using this dryer, the operator will suffer less arm stress and hearing will benefit from the minimum noise when in use and the included negative ions device will help to obtain soft, bright, shiny hair. The PARLUX Corner at the Intercharm booth was always very busy; pleasant communication and marketing initiatives involved members of the public. 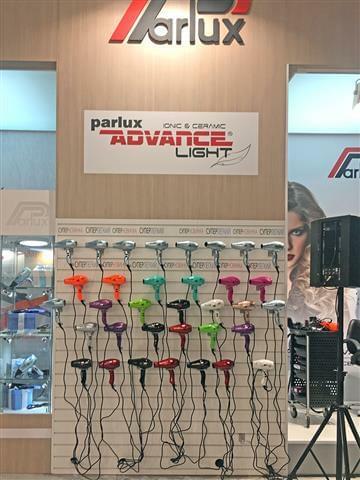 From questions about the Parlux world and their different models, opinions about the Parlux Melody silencer and even to the invitation of going on-stage to create their own hairstyles using the new Parlux Advance® hairdryer and taking some snapshots and selfies with the PARLUX PICTURE MAN. 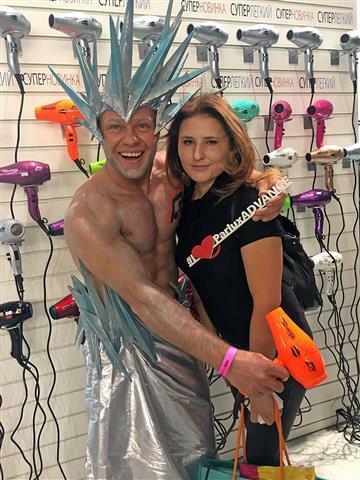 The Parlux attendance at this trade exhibition confirmed once again that the Russian professionals and not only, are very fond of PARLUX and all their products and that the new Parlux ADVANCE® has, after only a few months of presentation, become a best seller on that market.